INFORMATION: The deadline for District 7980 citations is April 15, 2017. The submission process for the RI Presidential Citation is different than the rest, so please follow the appropriate instructions carefully. Qualifications must be verified by your sponsor Rotary club’s president or a district leader by August 15, 2017. 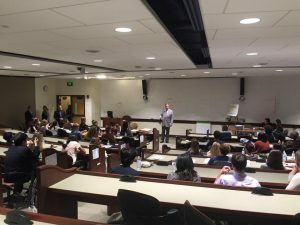 What is Leaders of Tomorrow? Leaders of Tomorrow is the yearly district Interact kickoff event aimed at rallying Rotary District 7980’s Interact Clubs for the upcoming year during fall where Interact club officers, members, and future leaders come to. The purpose of Leaders of Tomorrow is to provide the Interact Clubs with a means to converse and work with each other in hopes of building positive relationships between them. Leaders of Tomorrow also discusses how to maintain Interact Clubs, with topics ranging from district requirements to building up club membership. At the same time, there are also sessions run in parallel for people who do not currently have an Interact Club, but who would be interested in starting clubs within their school or community. The district will point these potential Interactors to valuable Rotary resources that will help with starting the club, as well as guide them through the process of registering their club. 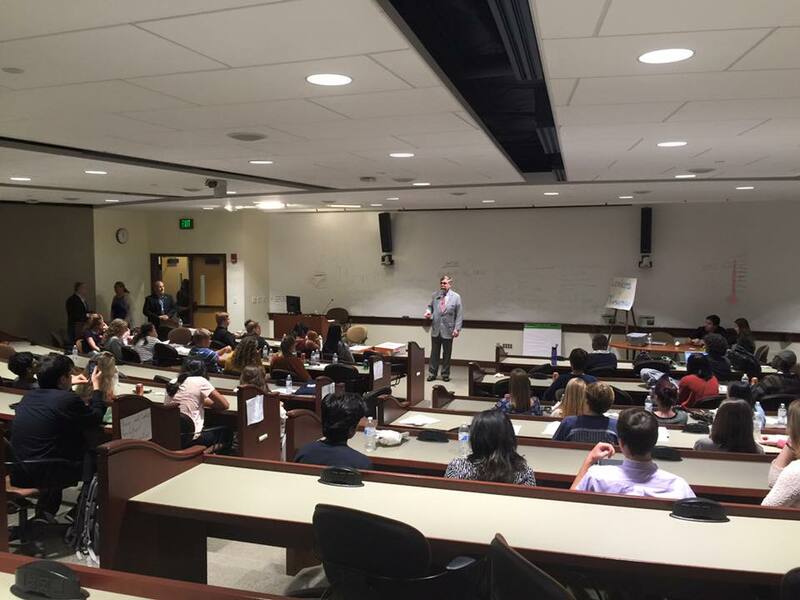 Lastly, Leaders of Tomorrow also sets the District’s service area of focus for the year, with groups of Interactors cooperatively planning potential service projects that have the potential to evolve into full fledged District Conferences! Ultimately, the end goal of Leaders of Tomorrow is to ensure that the district’s Interact Clubs will have an extremely positive year. Please direct further questions to Mark Morgano, the Interact District Chairperson. Every year, Rotary International and Rotary District 7980 issue citations to deserving Interact clubs as a way of recognizing their achievements and efforts over the past year. Achieving a citation reflects an Interact club’s ability to represent the local and international communities of Rotary, work together with their sponsoring Rotary club(s), and engage their members at the district level. For more information, please click here. The deadline for all applications is April 15th. Three Interact club citations are offered by Rotary International District 7980. Any Interact club sponsored by a Rotary club in District 7980 may apply for one of these awards. A club is eligible for a district citation if they have fulfilled every requirement for that citation. All activities must be completed between July 1st and April 15th of the Rotary year. LEVEL 1: The Interact Citation is awarded to Interact clubs that meet the minimum requirements set forth by the Interact District 7980 Executive Committee. LEVEL 2: The Youth Service Citation is awarded to Interact clubs that complete the minimum requirements, as well as involve themselves in other programs listed under Rotary’s fifth Avenue of Service (Youth Service). LEVEL 3: The District Governor’s Citation is awarded to Interact clubs that not only complete the minimum requirements and involve themselves in Youth Service programs, but also go above and beyond in representing the local and international communities of Rotary. To apply for a district citation, the qualifying Interact club should have the bottom of Application Form signed by their Interact club president, Interact club adviser, and sponsoring Rotary club president(s). The application form should be submitted no later than April 15th. In addition to citations offered by Rotary District 7980, your Interact club may consider applying for RI’s Presidential Citation for Interact clubs. Earning this citation is an international honor, as any active Interact club worldwide may apply. A club is eligible for this citation if they complete at least five of the activities listed. All activities must be completed between July 1, 2016 and June 30, 2017. To apply for the RI Presidential Citation, the applicant Interact club must have an active status with Rotary International. Before completing this form, the president of the sponsor Rotary club must confirm that status by checking the Listing of Club-Sponsored Organizations report in Rotary Club Central. This form should not be sent to Rotary International, as it will not be processed. Your sponsor Rotary club president or district leader must verify that your Interact club has qualified for the citation by August 15th using the relevant reports. Contact your Area Representative for help on starting an Interact Club. Click here for contact information. Click Here! 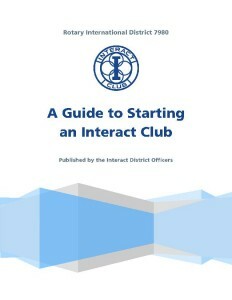 to learn how to start an Interact club. Click Here! to update your club information, including adding or changing new officers. All Interact clubs should identify their officers for next year no later than April 1st each year. Please note that reporting this contact information to Rotary District 7980 is a requirement for all three levels of district citations (For information about citations, see above). 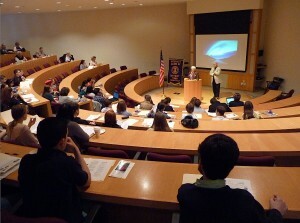 The reporting of club information is required annually by Rotary International. Please select the term for which the information applies (this appears is in a drop down menu). You can select 2014-15, 2015-16, or 2016-17. The Interactor or adviser completing this form is required to report the names, positions, and email addresses of their club leadership for the selected term. Click here to update your club information, including adding or changing new officers.